He is a visual artist, poet, performing artist, actor, and educator. He received three New York State Council on the Arts Strategic Opportunity Stipends grants and two New York State Council on the Arts Decentralization grants. He creates mixed media, draws, and paints. He also creates digital artwork in computers, using PhotoShop/Illustrator/inDesign software, and other software and apps. 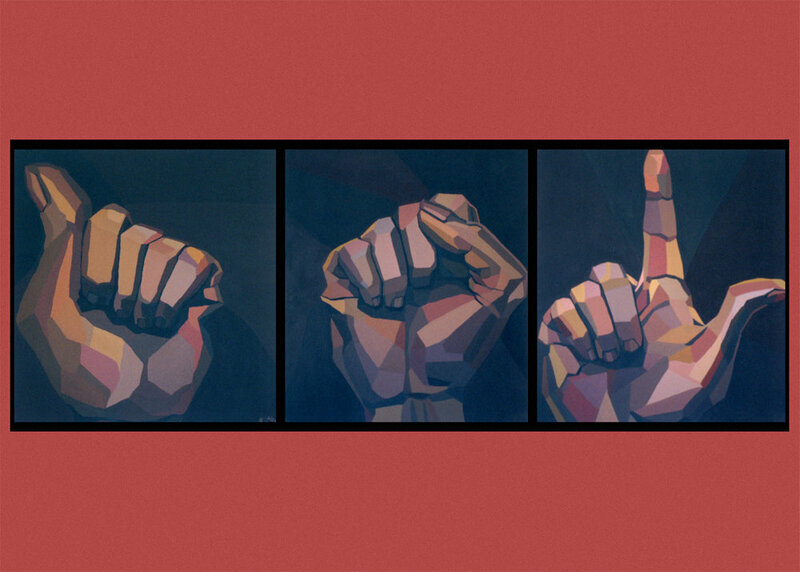 This work ("ASL") is currently owned by NTID (National Technical Institute for the Deaf). It was painted on 3 large canvases in acrylic; the orange background and the black lines around the painting were added digitally. I want to show the beauty of ASL. It's my pictorial statement that ASL is beautiful and should be recognized as a language that should be respected and preserved.